Here is the latest edition of Sevenoaks Churches Together Social Concern Newsletter "Compassion", with news of various projects in Sevenoaks. There's also some more information about ways you might like to get involved in Family Mentoring here. Westminster Abbey. 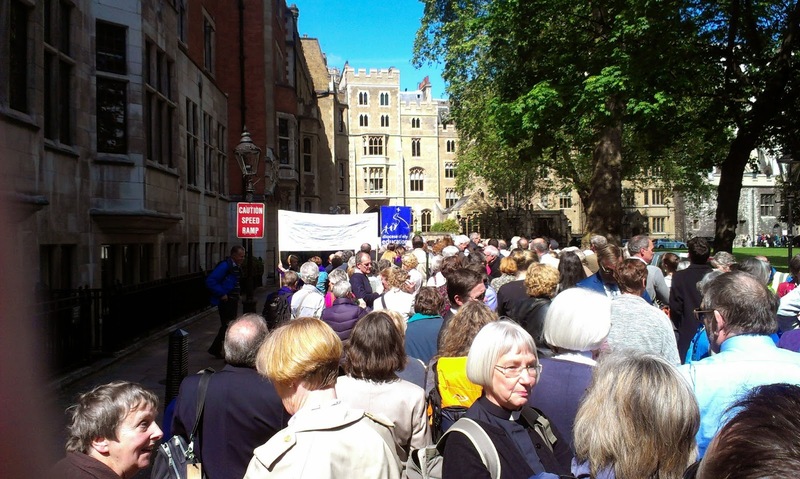 Church House, which stands in Dean's Yard, was the place where the historic vote to ordain women as priests was taken in November 1992. I had been there for that vote, with my good friend Carol Lott. I was in training for ministry at the time, apparently not having thought that it was rather strange to embark on training for a role which I would not, as things stood, actually be able to do. We anxiously watched proceedings in the debating chamber on a CCTV link to a reception room in Church House . It was a very tense atmosphere, with many supporters of the ordination of women, but some opponents too, packed into the room. We were very aware at the time, though, that this decision would not be universally welcomed, and that many felt (and still feel) that women shouldn't or couldn't be priests. Many in the church warned us against celebrating too publicly in the hopes of keeping the peace, and in the years that have followed that message has often been repeated. Every woman priest is aware that for some, our very existence is disturbing and wrong, and feels threatening to them. Every woman priest has known that there are some who feel that because we are ordained they are no longer able to be part of our church. That kind of awareness saps your energy and morale, but we can't deny the calling we believe we have from God, which has been affirmed by those who have received our ministry over the years. This is something we simply feel we can't NOT do. We've never, therefore, really been able to celebrate, or been celebrated, unambiguously; yesterday's service was a turning point, and it was wonderful to receive an invitation, as one of those ordained in 1994, to robe for this service in St Paul's, at the heart of the Church of England, and to be part of the huge photo taken of all those from that initial cohort who could make it to the event - around 700 of us, apparently. 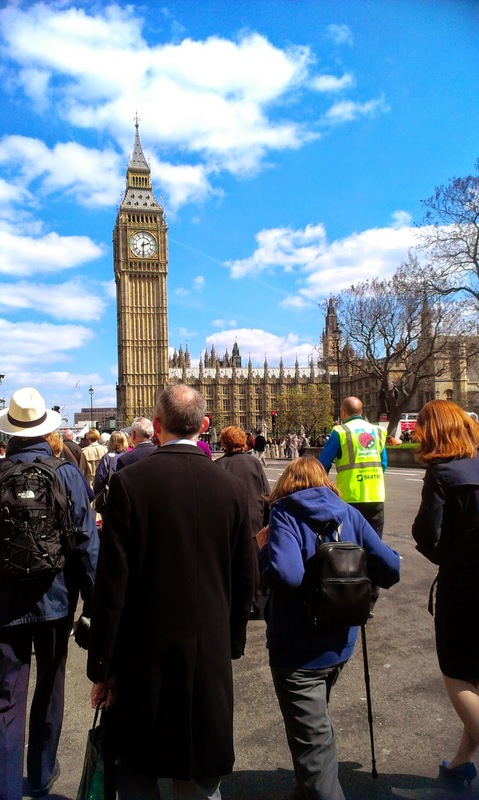 We had walked from Church House, where that initial vote had been taken, along the Embankment - under the gaze of rather baffled tourists, who must have been wondering what all these women priests were doing. 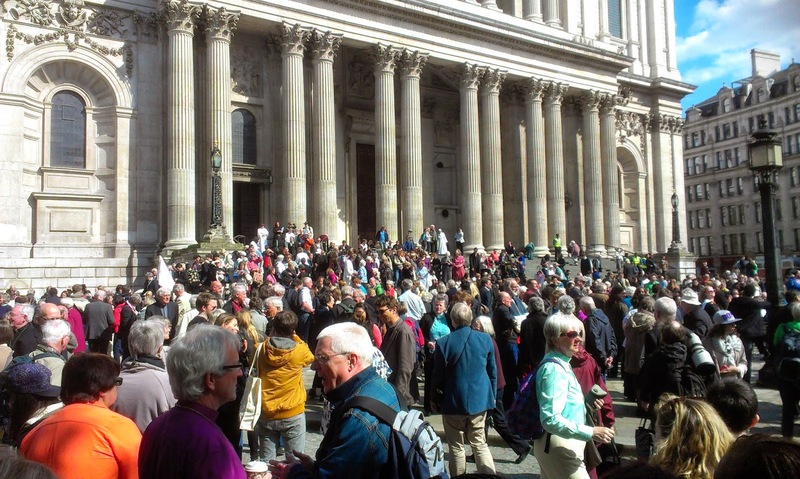 Then at St Paul's we were somehow marshalled onto the steps, and the photo was taken - with the Archbishop, Justin Welby, entirely engulfed in a sea of women. He walked past where I was standing to enter the cathedral, and as he did so, turned to look at us all, still massed there, shook his head in bemusement and simply said "amazing!" 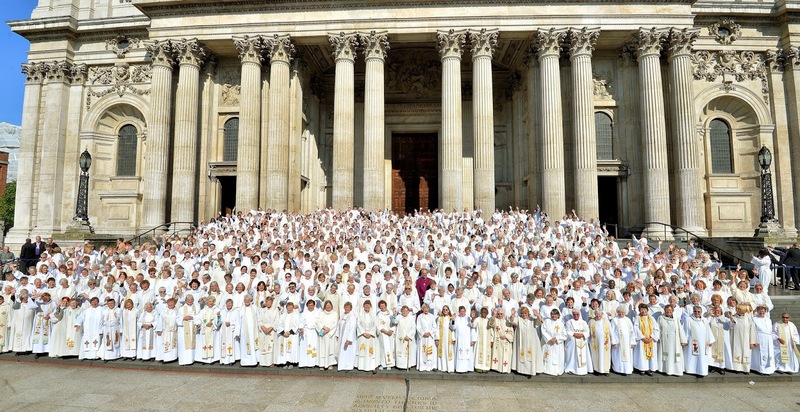 If you've got a magnifying glass handy, you might be able to spot me in the photo below, taken from the Church Times report - 3rd row back, 4th in from the right! We then went into the cathedral and were very moved to get inside and find the whole congregation on their feet applauding. With my no. 1 supporter, Philip Le Bas! The service was splendid, with the girls' choir from Salisbury Cathedral singing, and testimonies both from women who had been priested in 1994 and young women just starting out in ministry. 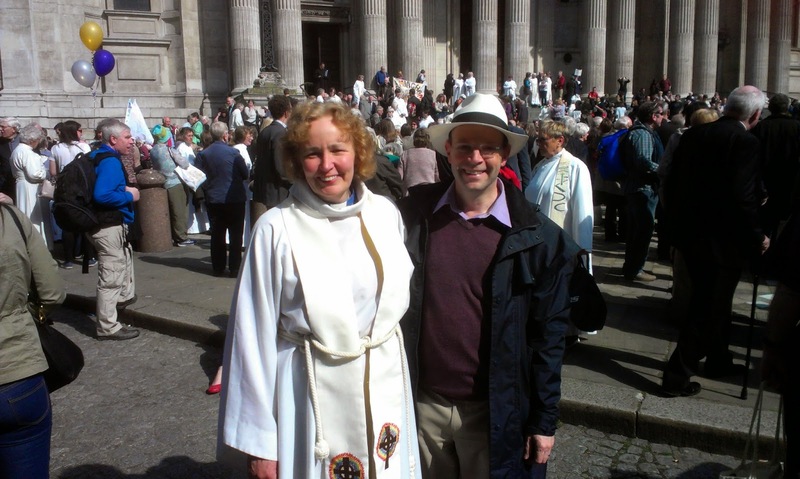 Archbishop Justin preached, as well as acting as a deacon to Phillipa Boardman, the Canon Treasurer of St Paul's who was presiding and celebrating Communion. I was glad to realise, when I went for communion that purely by coincidence Philip had ended up just 7 rows behind me - it was good to know he was there. Most of all, the service was simply a celebration and an affirmation - that we were there, that we had survived, that our ministry, for all the struggles and the pain, seemed to have brought blessing to those it had touched. 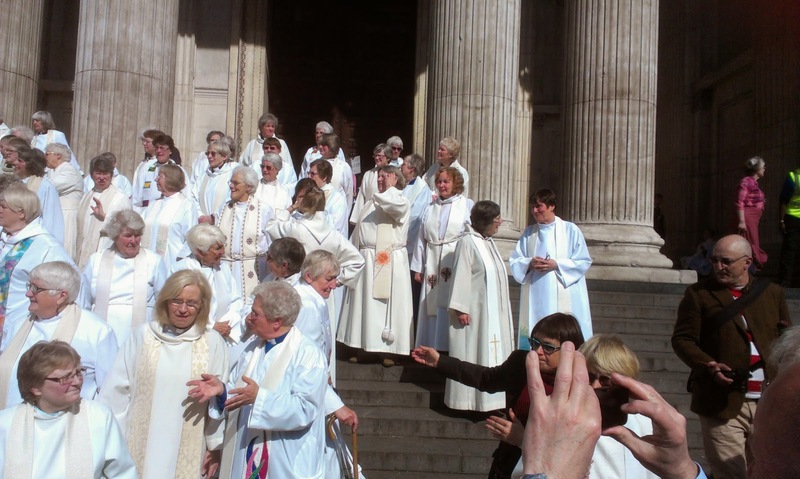 We remembered those many women priests and other supporters who had not lived to see this day, and looked forward to the day (hopefully not too far off) when women would be able to become bishops. Though I wouldn't want to be one myself (being a parish priest is where I really feel at home) I know many women priests who would, and hopefully will, make wonderful bishops, so we are hoping that the vote on the new legislation to make that possible, to be held in July this year will, as that original vote in 1992, receive the assent it needs, and one day be celebrated with as much joy as we felt yesterday. 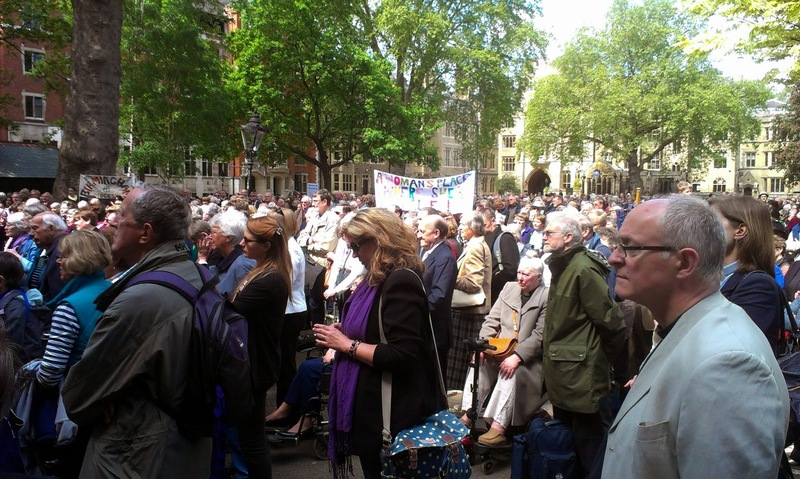 More photos of the event can be found here, from the St Paul's flicr site.